Gary is a professional and courteous Salesperson who has established a fine reputation throughout his seventeen years in residential real estate. Since joining the industry in January 1993, Gary has consistently achieved the “Top Salesperson” award and has received countless testimonials from clients thanking him for his efficiency, courteous manner, professional approach and attention to detail. Gary is known as the "quiet achiever" due to the manner in which he conducts himself. He is not a "high pressure" salesperson and believes his success comes from caring for his clients and keeping them informed, as well as providing them with good advice. To further develop his skills, he regularly attends customer service workshops and seminars and has added “Auctioneer” to his list of credits. Gary settled in Australia with his family from Northern Ireland in 1988, after completing an apprenticeship in bricklaying and studying Graphic Art Design. He saw a natural progression from his employment in the building industry to an exciting and rewarding career in Real Estate. Gary has spent his entire real estate career in the outer eastern suburbs, during which he has developed a thorough knowledge of the area. He lives in Ringwood East with his wife and children and is a keen soccer fan, which he also plays competitively when time permits. Narelle Dorney openly admits that she “lives and breathes” real estate. Her clients consistently compliment Narelle on her cheerful personable style, and dynamic approach to the marketing and negotiation processes. Narelle’s philosophy is that “customers are for life”. Her trademark is the steadfast commitment she invests in each of her clients – intuitively listening to their individual circumstances and objectives, and working consultatively with them throughout the entire buying and selling experiences. With clients coming back to Narelle time after time over the many years of her real estate career, she thoroughly appreciates her long-term relationships with so many local families. On a personal level, Narelle’s been a member of the local community for almost 12 years. Having lived and worked locally for such a long time, she and her family also enjoy the area’s wonderful family-focus and diverse amenities. 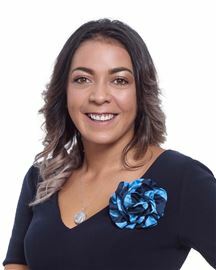 Along with her superior knowledge and professional achievement, comes a heightened sense of motivation to deliver the most “complete” service to her clients – combining outstanding sales results with memorable personalised customer service. 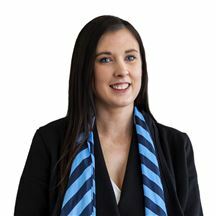 From start to finish, Narelle will confidently guide you in preparing your home for sale, dealing with buyer inspections, referring you to professional financial and legal advice, conducting the most effective contract negotiation, and managing the after-sale process. If you require advice with any real estate matter, don’t hesitate to call Narelle Dorney on 0408 589 041. Always mindful that each real estate experience is unique and personal for both the seller and the purchaser, Steve Williamson works with his clients compassionately and consultatively with straightforward down-to-earth communication, while remaining single-mindedly focused on the best sale outcome. Having worked within the local real estate sector for many years, Steve’s respected by his peers just as much as his clients. His award-winning sales results speak volumes about his tireless work ethic, his expertise in contract negotiation and his quality long-term client relationships, which ensure an ever-increasing number of customer referrals. The mix of Steve’s humour, approachability and logical perspective means that his clients naturally feel relaxed and less daunted during what can sometimes be a stressful time. Supported by Harcourts market-leading service culture and cohesive team of real estate professionals, Steve Williamson will tailor an individualised marketing campaign specifically for your property, openly communicate buyer feedback, and represent your best interests in a successful contract negotiation. You’ll feel confident in his professional acumen, and thoroughly enjoy dealing with him on a day-to-day basis. Steve and his family have lived locally for many years, experiencing first-hand all of the diverse family amenities in this area. He continually calls upon his knowledge of the local area and current market trends, when dealing with a broad spectrum of clients ranging from first-home buyers and young families, to property investors and those upgrading to larger prestige homes. If you require advice with any real estate matter, don’t hesitate to call Steve Williamson on 0417 315 492. Joyce settled in Australia with her family from Malaysia. After 10 years of experience in the building industry, she wants to take this knowledge into her Real Estate career. Joyce strongly believes in building long term relationship with clients through honesty and integrity. 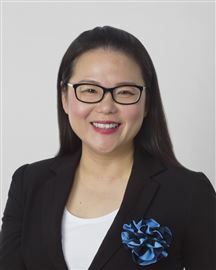 She is fluent in English, Mandarin and Cantonese which gives her the ability to effectively communicate with people from different cultures. Joyce is a highly motivated with a passion for helping people achieve their real estate goals. She is committed in every facet of the sales process to ensure that her clients have the best possible experience whether they are buying or selling. Joyce is married with two children and in her spare time, enjoys Zumba. Hi, I’m Skye Corrigan. I am a born and raised Kiwi who moved to Melbourne in 2008. After high school, I continued my education at Melbourne University studying a Bachelors in Psychology. During that time I became renowned for my competitive streak in netball, whilst also managing a micro-brewery in the Yarra Valley before venturing into a marketing management position. I’ve travelled around the world more than once and I feel my travel experiences coupled with my work and life experiences allows me to bring a whole new game to the real estate world. Along every stage in the real estate process, my aim is to provide a ‘6 Star’ approach to client communications, professional marketing and negotiation skills. It’s my commitment that delivers my clients professional service, premium results, and peace of mind. I live and work locally and admit to becoming an avid supporter and donator of time to local schools, churches and community groups. You’re very likely to see me enjoying a coffee with my clients on Croydon Main Street. To sum it all up, real estate is a people’s industry, and as a people person, helping my clients make their next property move with confidence, is a privilege. I look forward to meeting with you soon. Rhys joins our team with over 4 years experience in Property Management. Dedicated to his work Rhys has a cool calm approach which immediately puts all parties at ease. With a can do attitude and attention to detail Rhys is a truly an outstanding Property Manager who values his clients. He can be relied on to efficiently cope with any situation due to his outstanding approach and with level headed thinking. Being a local Rhys has extensive knowledge of Croydon and surrounding suburbs. He attended the local primary & high school. With a passion for his area Rhys can often be found enjoying the Yarra Valley & Dandenong Ranges or simple enjoying a brunch with a latte at a local cafe. Look No Further, You Are Home! Move in and make your mark! Don't Dream It - Do It! Even Better Than Brand New! As neat as a pin! Style and charm in abundance! Renovated - ready to enjoy! Sparkling New - Just for YOU!